The National Green Tribunal (NGT) today expressed concern over the polluted stretch of Ganga between Haridwar and Unnao. The green court, which has been hearing the case regarding Ganga river pollution, was unhappy with the fact that the stretch is not even fit for bathing purpose. “We are of the view that on account of great reverence to great Ganga, innocent persons may drink and bathe without knowing that the water is unfit for consumption. It is of utmost necessity to comply with the right to live of persons using Ganga water and they are put to notice about the fitness of water,” said NGT chairperson A K Goel. If cigarette packets can carry a warning saying it is ‘injurious to health’, then common people should be informed about the impacts of polluted river water when they take dip in it or drink it, the court added. When the National Democratic Alliance came to power at the Centre in 2014, under the leadership of Narendra Modi, the cleaning Ganga was declared a priority. Namami Gange, an umbrella programme, was created in 2015 and Rs. 20,000 crore was allocated for 2015-2020, following which, the cleaning of the river and its tributaries started. Namami Gange was given the status of an authority in 2016 to speed up the work. Nitin Gadkari, the Union Minister for Water Resources, River Development and Ganga Rejuvenation claims that the result of Ganga cleaning works will be visible on the ground by March 2019 as the river would be 70 to 80 per cent cleaner (from 2014-15 level) by that time. But today’s statement of NGT on Ganga tells a different story. The data of the Central Water Commission (collected between May 2016-June 2017) shows that the average Biological Oxygen Demand value (a parameter to measure the pollution level) of Ganga between Garhmukteshwar and Shahzadpur was not even suitable for outdoor bathing. If the country wants to be clean by October 2019, the government needs to think differently and take up pollution abatement on war footing. 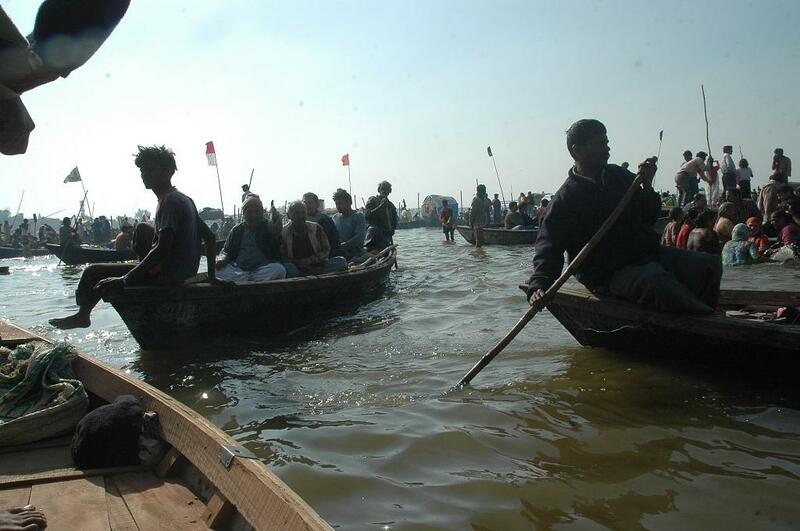 Who will save the Ganga? Minister claims Ganga will be 70-80% cleaner by March 2019, but is it realistic?